Reverend Charles E. Bourke was ordained a priest in the Archdiocese of Boston in 1970 and has been the Pastor of St John the Evangelist Parish since his retirement from the US Navy in 1999. 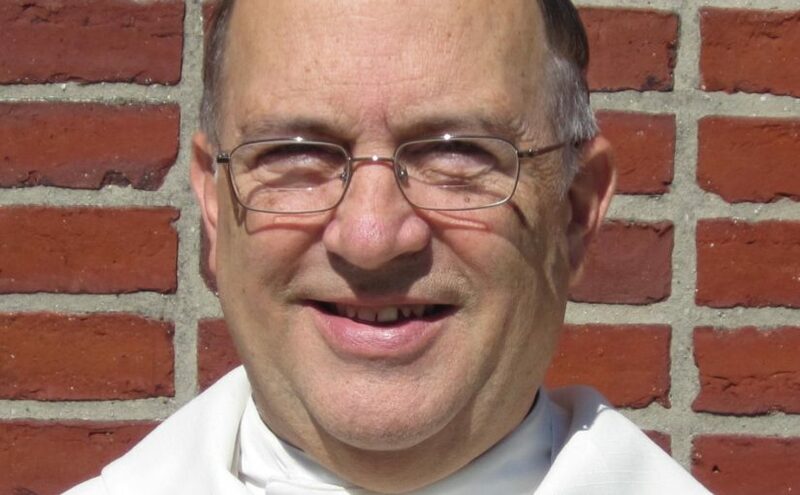 Over the years, he served the Archdiocese as a Deacon at St. Mary’s, Lynn, Massachusetts, as associate pastor of St. Catherine’s Parish, Somerville, Massachusetts, Dean of Students at St. John’s Seminary, and associate pastor of Our Lady of Lourdes Parish in Jamaica Plain, Massachusetts. In 1968, while a seminarian, Father Bourke completed Chaplains School in Newport, Rhode Island, and actively served as a Chaplain in the US Navy. He served the US Navy in such places as Navy Hospital, San Diego, First Battalion, Ninth Marines, Third Marine Division, Okinawa, Commander Destroyer Squadron Six, homeported in Charleston, South Carolina, the Naval Air Station in Sigonella, Sicily, Naval Chaplains School in Newport, Rhode Island, Naval Surface Force, U.S. Pacific Fleet in San Diego, and Chief of Chaplains Office, Washington, D.C.
Father Bourke’s military awards include two Legion of Merit Medals, Meritorious Service Medal, Navy Commendation Medal with Gold Star, Navy Unit Commendation; Meritorious Unit Commendation, the Naval Reserve Medal, Humanitarian Service Medal; Sea Service Deployment Ribbon and the Navy and Marine Corps Overseas Ribbon. He is a graduate of Catholic Memorial High School, St. John’s Seminary, with a Bachelor of Arts Degree in Philosophy and a Master of Divinity Degree, and LaVerne University with a Master of Science Degree in Marriage, Child and Family Counseling.